Paul Morris headed west once more, to Deauville, a lovely seaside spot in Normandy. When I decided to head to Deauville for a pre-Christmas break, I expected no favours from the weather on what can be a particularly windy coastline. The sun shone from the minute I stepped off the train and, I kid you not, lasted until I walked back toward the station seven days later – a fine mist cloaked the boats in the marina. I was there for the walks along the front, on the famous boardwalk – Les Planches – and lined with huts named after famous movie stars. I was there for the seafood, and, of course, it was available in abundance. 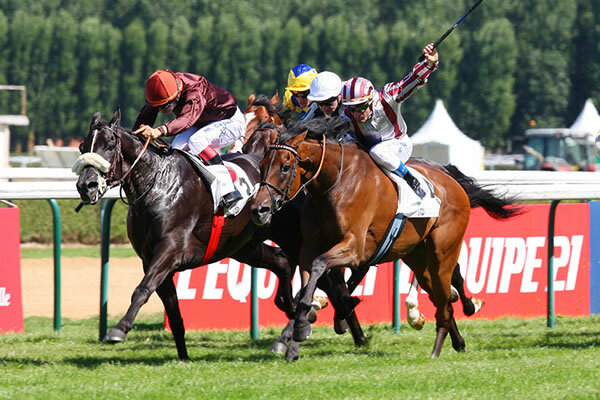 But I was also there for the ‘gee-gees’ – Deauville is also famous for its excellent hippodrome. On the train as we approached the town, as far as the eye could see was packed with stables. This is horse country. I’m not a betting man but my trip coincided with the anniversary of my father passing away. And he loved horse racing. I took in the last four races or rather they – at least the first three – took me… to the cleaners. So I had one race left, and rather than checking any sort of form I decided to bet on the date. And number 14 duly romped home in grand style and I treated myself to a fine Deauville lobster supper.